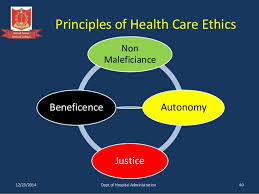 In this assignment, you will study the role of ethics in healthcare. Read the following article from the ProQuest database on South University Online Library. It will help you address the question better. for participation in health services research. J Med Ethics, 28(5), 313-317. Ethics guidelines now require that individuals give informed consent to participate in research. Existing ethical guidelines do not help us decide how to seek consent and have allowed managerial experimentation to remain unchecked. Do you think that alternative forms of community consent should be actively pursued? Why or why not? How would you feel if your medical records were examined and included in research without your consent based on an illness in the past? Mrs. Jones is a forty five-year-old multiparous woman who has been healthy all her life. She is in active labor with her fourth child, but shortly after labor began she suffered severe hemorrhage, loss of consciousness, and hypotension. Her blood pressure normalized when intravenous saline was given, but the loss of consciousness and bleeding continued. Her hematocrit is now dangerously low at 18%. Immediate blood transfusions are medically indicated and it is likely that the bleeding will continue unless surgery is performed. Mrs. Jones identified herself as a Jehovah's witness. She has always been capable of making her own decisions and had stated previously because of religious beliefs, she could not receive blood transfusions under any circumstances. The obstetrician explains to her husband that her life is in danger and he cannot be responsible by this prohibition against transfusing of blood. Mrs. Jones is unconscious. Her husband told the doctor to proceed with treatment to save his wife and child without her consent, even though his wife was adamant about no blood transfusion because of religious beliefs. A nurse was present when Mrs. Jones stated she wanted no transfusion. This was not documented in the chart. •Should the physician continue without her consent even though she was adamant about no blood transfusions? •Would the elements of informed consent be met? Why or why not?